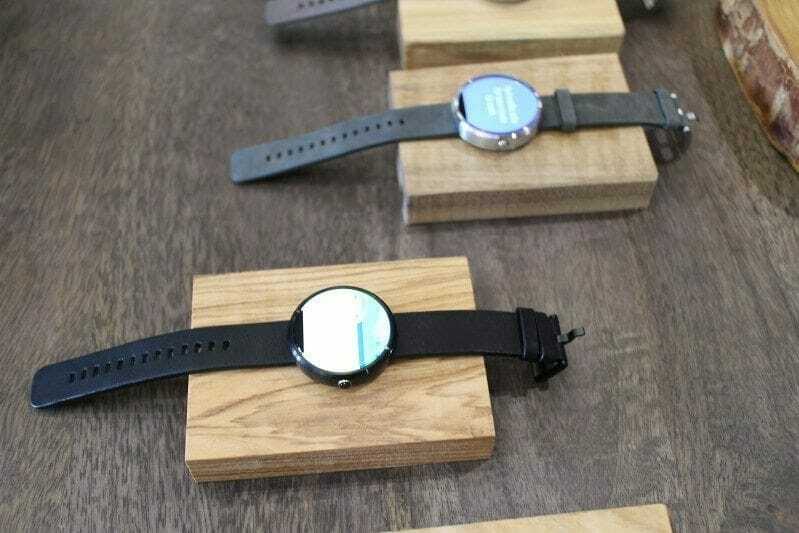 Along with the Moto X 2014 and the Moto G 2014, Motorola also announced the Moto 360. 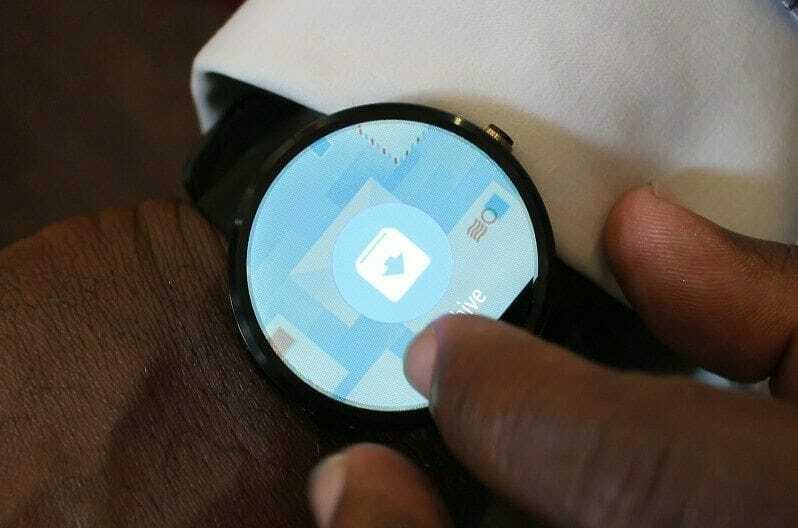 The smartwatch that sports Android Wear. 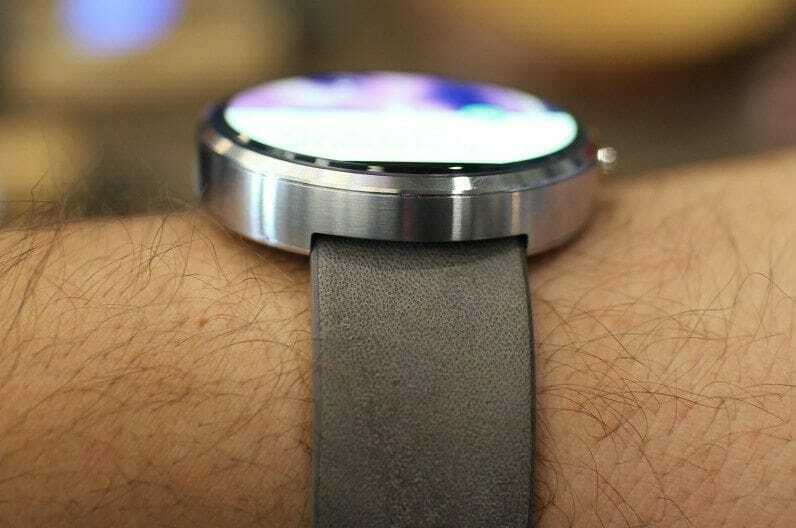 The Moto 360 is nothing different from what we expected it to be. It has the same round shape. The same Google card-ish screen. Although we have what you want. Details, pictures, portability, everything. 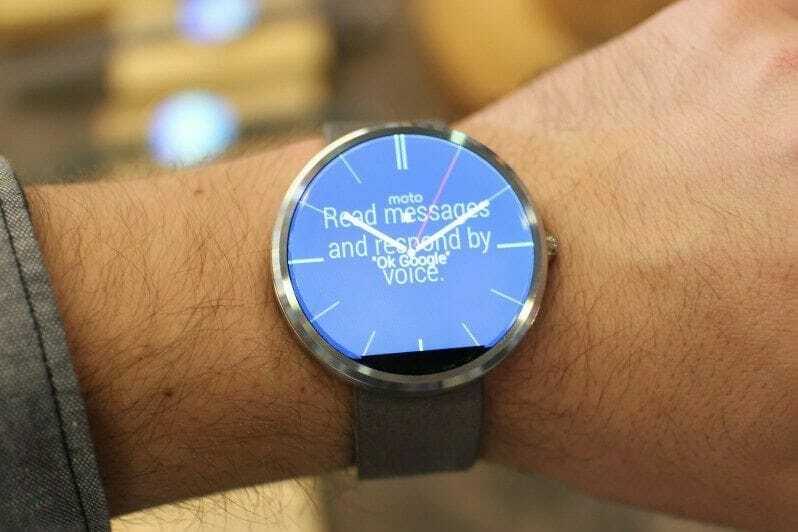 The Moto 360 is the first rounded smartwatch to become available and the first Android Wear one in the US. The feel is absolutely gorgeous and premium. The watch is actually lighter than both the LG and Samsung smartwatches but the feel is much solid in the hand. 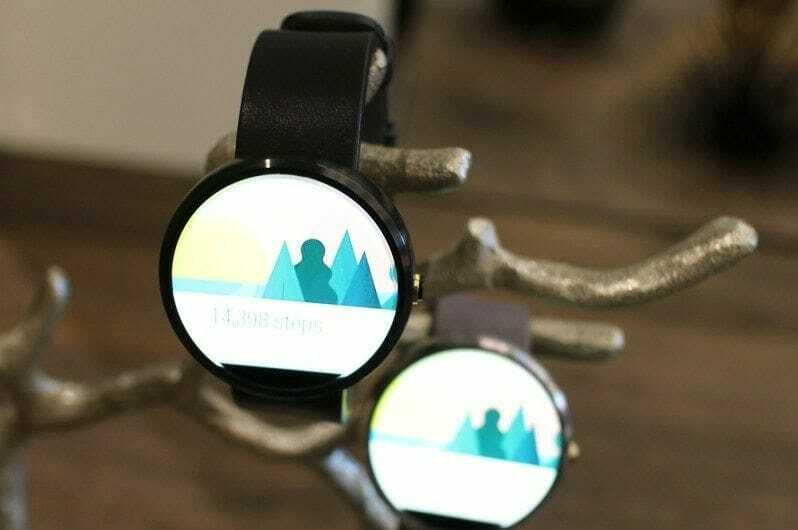 The display of the Moto 360 is one of the smallest amongst the other smartwatches. The size is 1.56” but feels among the biggest thanks to its round shape and the fact that the display takes up the entire watch surface. 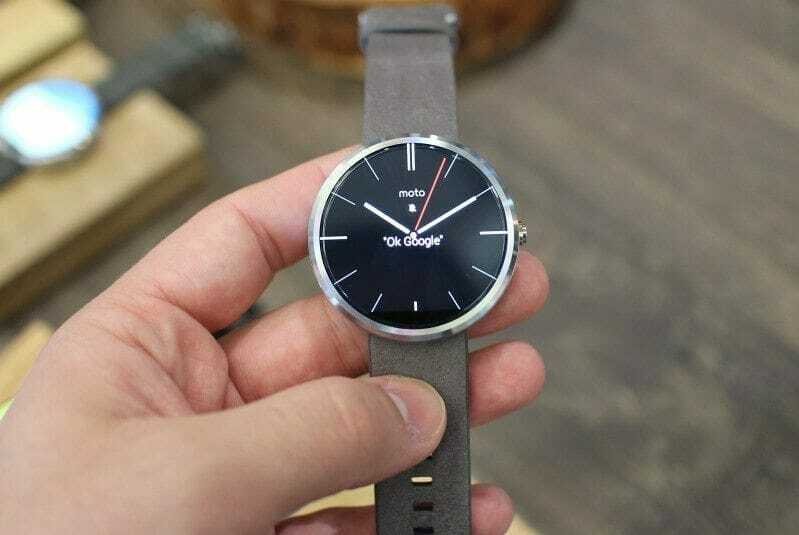 The Moto 360 sits comfortably in your hands thanks to the slightly curved design to its bottom. It has a heart-rate sensor on the bottom that can constantly sense your heartbeat. It can also measure and detect if you are in Inactive (40-92 bpm), Active (92-129) or Vigorous (129-185) mode. 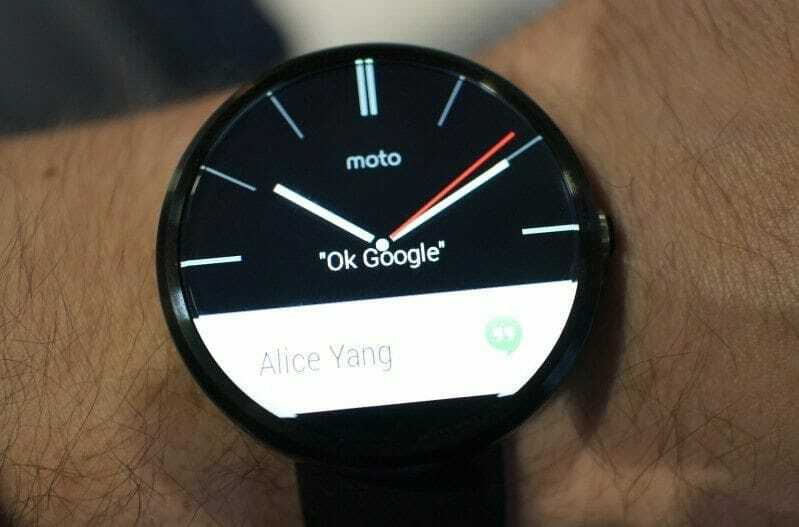 The Moto 360 has the same 320 x 320 resolution that we see on most smartwatches and the display is sharp. Colors are saturated and the screen is well lit. It also has the ambient light sensor which will automatically adjust the brightness when needed. It is an LCD and not OLED, so the blacks are not deep. 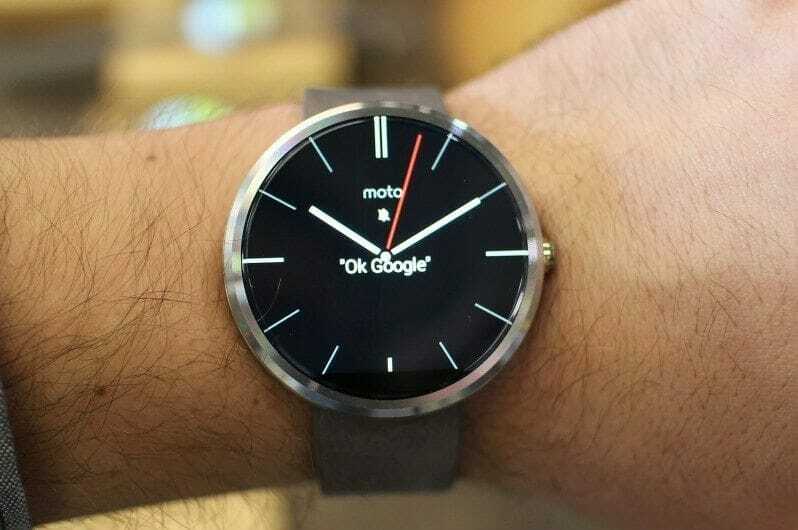 As it turns out, the Moto 360 stock was depleted in the next few hours after the launch. 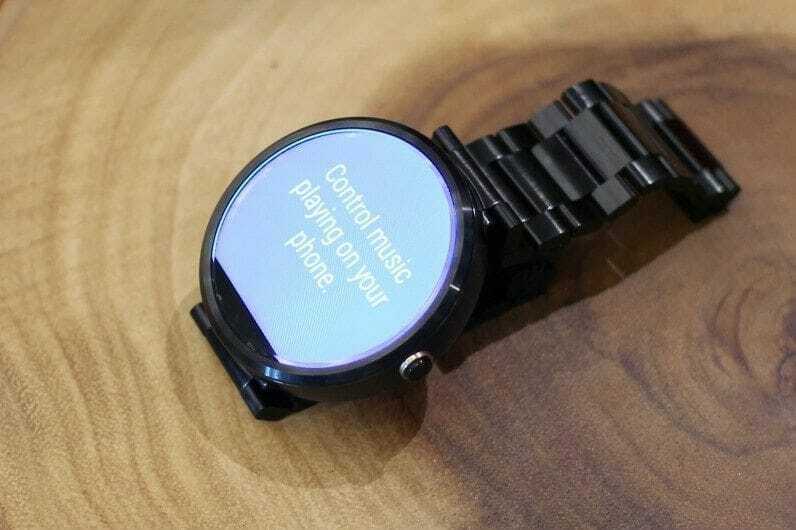 Both Motorola’s and the Google Play Story list the smartwatch as out of stock. Other retailers which should launch the Moto 360 in a few days, will still receive it as scheduled, but they won’t be offering it online. 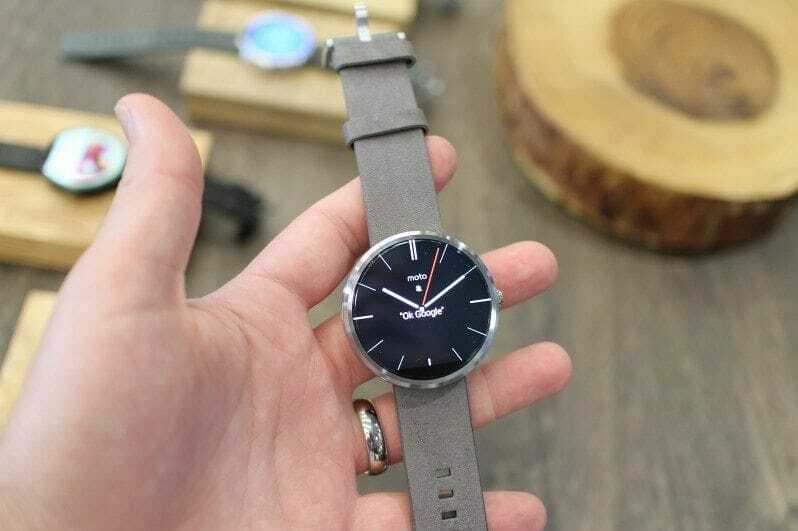 So if you have missed the opportunity to own a Moto 360 smartwatch, you can either go and wait in line, or you can subscribe and wait to be notified for the next limited batch of the Moto 360 when it is available online.